Here is a very simple salmon piccata recipe, that’s been made healthier for you! Try this out if you want to add some extra zing to your typical salmon. Cook the salmon for 2-3 mins on each side, remove, place on a plate and cover in aluminium foil or other covering to trap heat. Return back to the pan, add remaining butter and chopped garlic, allow the garlic to cook before adding in chicken broth, lemon juice and 2 tsp of coconut flour (or optional cornstarch), stir occasionally for 2-5 mins (allow to simmer on low heat). Due to the christmas period, our pays being stuffed up, moving house (bond money, yuck!) and a bunch of big bills coming at once Beau and I are on a very strict budget. We don't touch our business money just so you know! The portion of the detox book proceeds goes to charity and we only spend business money on business expenses like advertising etc, we do not pay ourselves a wage. So needless to say lately we have been having to choose what we spend our money on very carefully. Meal prepping is very good at helping us out in this situation. 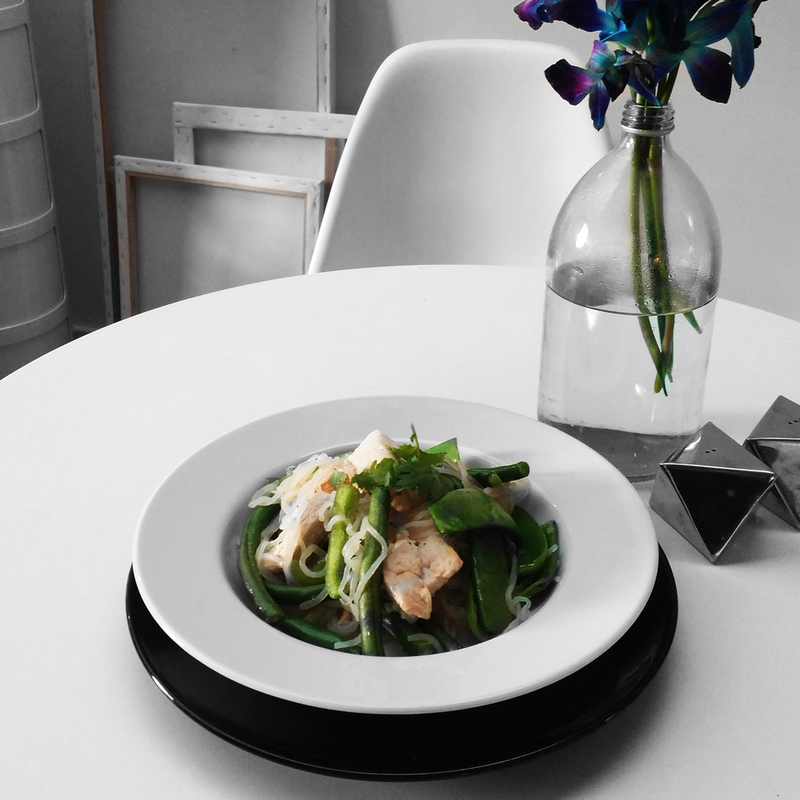 One of my new go-to meals is this Easy Green Curry. The base ingredients are in the photograph below, you could eat this on it's own, or if you feel, add extra ingredients. I added a few little extras as you will see in the recipe below. If you eat just what's shown in the photograph it will make you 4-5 meals and the ingredients only cost $13.68 all up (the extras we added are stock-standard things that live in our pantry). With the few extras in we managed to make 6 meals, so that works out to just $2.28 per meal - YES PLEASE. By the time the quinoa is finished your curry should also be nearly done, by this point the coconut cream should have thickened a little and it should all be a yellow-ish colour from the turmeric. Remove them both from the heat and serve. Herbs may actually be able to replace pharmaceuticals for some individuals, as more and more studies are proving their usefulness for treating the body. The benefit of being able to use herbs to treat problems in the body is that they usually do not have side-effects. I've put together a free download chart for you of some more common herbs and their benefits. Photography by me, set styling by Kymberly Louise. Whilst Beau and I are busy packing and getting ready to head overseas tomorrow amongst still working and finishing off our books smoothies have become such a convenient snack option for us. This little number is a great option for the mornings. 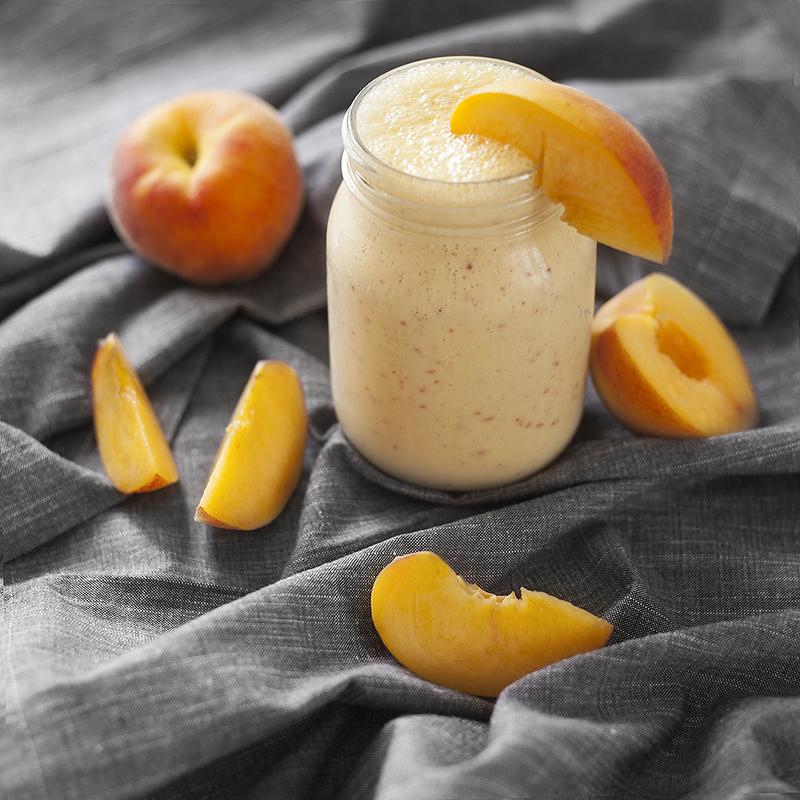 No real steps, just cut the peach up and throw it all into a blender!